Hell hath no fury like a woman scorned, or in this case, in despair. Case in point? The Great Wall: One Woman’s Journey, which brings to life the legend of Meng Jiang Nü in a soaring musical odyssey. In this musical, the protagonist’s tears not only caused a fracture in the Great Wall, her spirit also pierces through the pride of a villainous emperor. 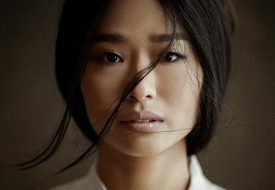 The theatre spectacle follows Meng Jiang Nü (Na-Young Jeon) in her quest to find her husband, Fan Qi Lang (Nathan Hartorno), who has been captured by Emperor Qin Shi Huang’s (George Chan) soldiers to work on the Great Wall. History buffs will get a kick out of this musical, as it offers a slice of Qin Dynasty in song and dance. It gives us a glimpse into the mind of Emperor Qin Shi Huang, played by George Chan. Known for unifying China, he was also driven mad while causing death and destruction throughout the nation. The storyline also tells the origins of The Great Wall of China, which was built out of the Emperor’s paranoia at the expense of many lives. 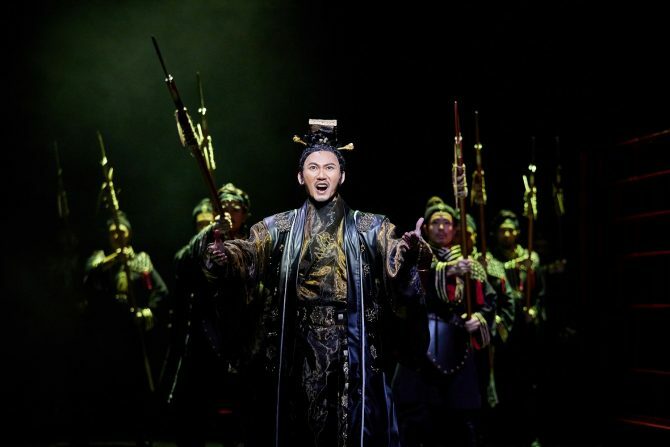 While Chan embodied traits of the mad king quite deftly, the musical didn’t quite make an impact with the character’s ‘crazy’ facade, making Emperor Qin seem less terrifying than he was according to history. For instance, the delivery of Fan’s unfortunate demise came rather abruptly and without visually-stimulating antics. At this point, we naively mistook Fang for being thrown into prison, when in fact he was buried between the walls.